Suntory Whisky is making inroads into Australia in a big way and I am personally ever so grateful Japanese whisky is easily now so accessible. The reality is though Japanese whisky and Suntory have always been there and have for a log long time always made great whisky. Unfortunately it is just not something we could get out hands easily. If you have not explored Japanese whisky yet then get your head out of the sand and do so as I don’t think you will be disappointed. It is just a pity genuine Japanese beer has not seen the same expansion. That is ‘real’ Japanese beer brewed in Japan and not that other stuff brewed under licence. Earlier this year The Proxy and myself were invited to share in the launch of Suntory Whisky on a national scale here in Australia. Launched at NSW Art Gallery it was a night not to be missed and wrote about that experience in: Bringing The Swagger Back - Suntory Launches into Australia. On that evening I was nearly in heaven. Nearly because if I got any closer I would have been dead. The whisky was great, the people were cool, and the food was excellent. As part of the night we had an exciting tasting experience, led by Mike Miyamoto, Suntory Global Brand Ambassador. Laid out before us during the tasting was a fine selection of Suntory whiskies while standing and dramming directly across from me was the dapper fashion designer Akira Isogawa. Unfortunately with the height of the table and the noise of excitement in the room it was pretty much impossible to have a few words. Curse you Time For Whisky for choosing the spot nest to him! The placement of Akira Isogawa is not completely obscure to the point and no I am not name dropping for the sake of it. The House Of Suntory now continues to celebrate its position in Australia hosting a collaboration with no other than Akira Isogawa. 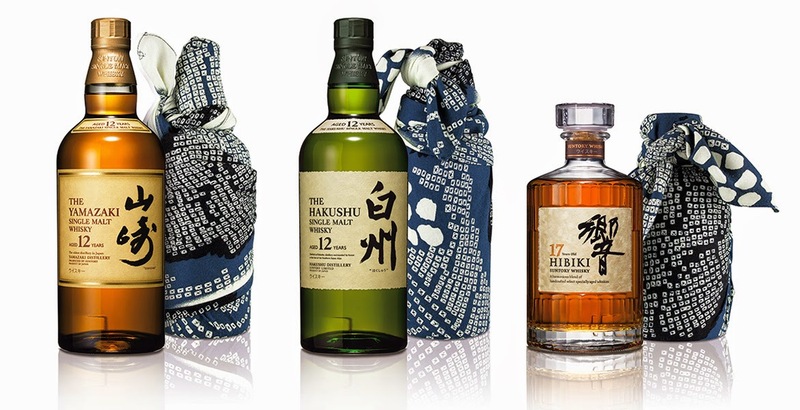 This collaboration has seen Akira fashion a very limited edition luxury furoshiki bottle wrap just for Suntory Whisky. Furoshiki is a traditional Japanese linen wrapping very often used when giving wine, whisky, or sake bottles and or other personal gifts throughout modern Japan. Originally used for wrapping and transporting personal items the use of the furoshiki for gift giving goes back countless generations. This particular limited edition Akira Suntory furoshiki will be available mid August 2014 leading into Father’s Day with a further availability coming into Christmas. This limited edition furoshiki wrap will be available as a gift with a purchase of either the: Yamazaki 12 years old; Hakushu 12 years old; or Hibiki 17 years old. Only available through listed retailers and with only 300 available these truly are limited. It will not cost you anything extra for the furoshiki as part of the bottle purchase but I would inset you hasten your ambitions in grabbing one. 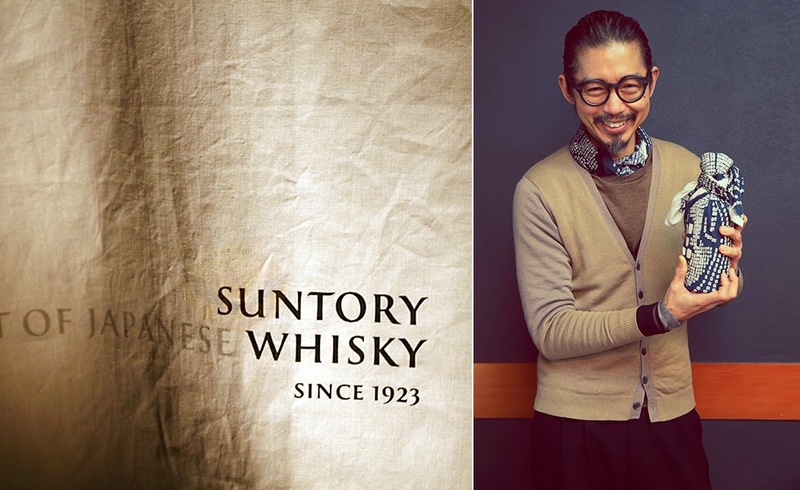 Akira is noted as drawing upon his own upbringing as inspiration while paying homage to the importance that water plays in the creation of Suntory whisky by creating a unique scarf that signifies the passage of water in nature. New South Wales: Oak Barrel; World of Whisky. Queensland: Cru Bar + Cellar. Victoria: Nick’s Wine Merchants; The Wigs Cellar; Sea Breeze Cellars. South Australia: Fassina Liquor Merchants; Parafield Airport Liquor Store. Step 1. 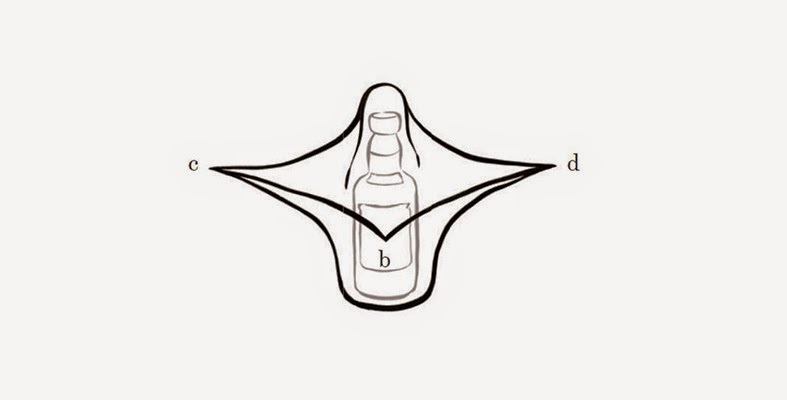 Spread the furoshiki in a diamond shape and lay the bottle slightly above the centre. 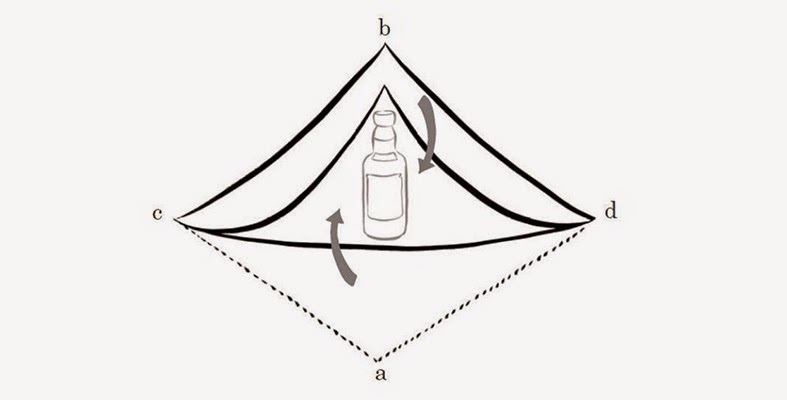 Fold the furoshiki from corner a and then from corner b to cover the bottle. Step 2. 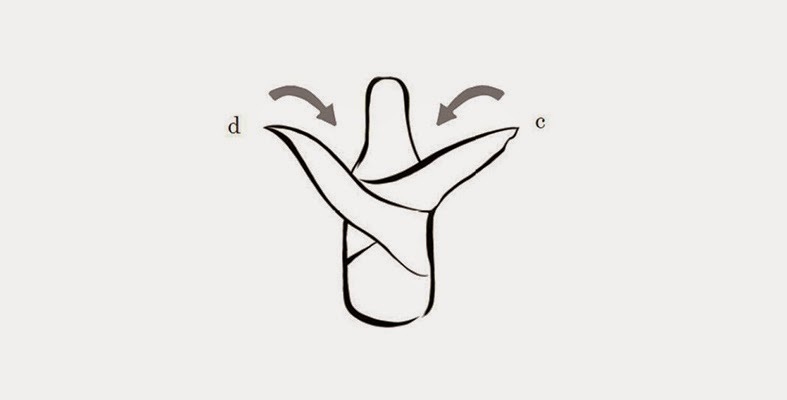 Hold the right and left ends of the furoshiki (corners c and d) in your hands, and pull them to the front side. 3. 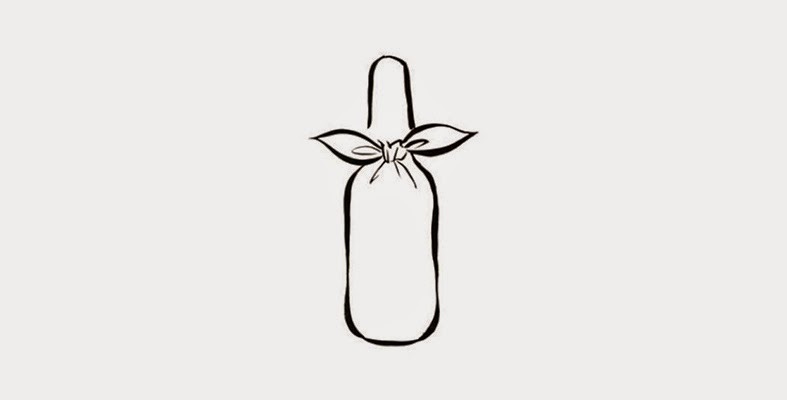 Wrap the bottle by crossing the two ends held in your hands and bringing them to the back side. 4. Make a knot at the position of your choice. I for one don’t want to miss out so the hunt is already on. Good luck in your quest and wear your furoshiki with pride. Information quoted in this post has been provided to us as an official media release by ICON International Communications on behalf of Suntory Whisky. This is a non-sponsord promotion. For any further details please defer to the Suntory Australia website.